Delivering personal quality health care to you and your family. 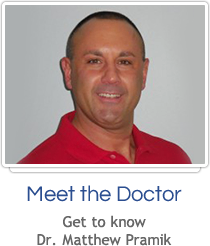 Since 1997, Fairlawn chiropractor, Dr. Matthew Pramik, has been practicing warm and friendly “old school” health care. This care means we remember your name, wish you “happy birthday,” ask “How’s your mother, the kids, the job?” and respect your time during your appointment. 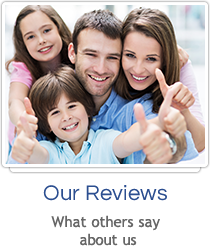 Yes, we’re the kind of office that delivers personal, quality health care, and we welcome you and your family. We are proud to offer outstanding quality care to each patient that walks through the door. It is our fundamental principle to treat you well and provide a great adjustment so you know you’re always in good hands. We also make our care affordable through both insurance and competitive cash plans. Rest assured we take the time to listen to your needs so we can provide the precise care you need to heal and recover. We take a whole body approach to discover the underlying cause of your discomfort and work to help you make a full recovery. This way, you can get well and stay well. 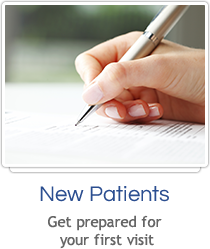 With both Dr. Pramik and Dr. Brumbaugh available, you have even more access to quality care with our extended office hours. Enjoy optimal health, naturally. Contact us to schedule an appointment! I’ve been a lifelong visitor to Chiropractors. This was by far the most in depth and thorough examination and adjustment I have ever received. Thanks Dr. Pramik you made me feel I was more then just another job to do but someone you actually cared about and could help! I was amazed with how great I felt after. I can’t wait for my next appointment.